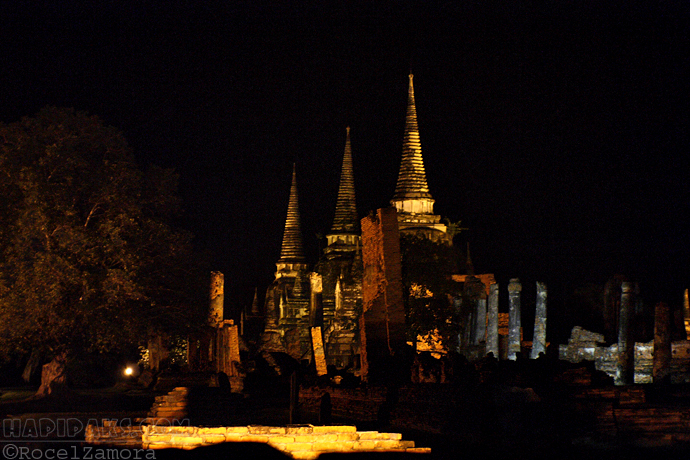 I was already on the last day of my stay in Thailand and my plan to see the ancient ruins of Ayutthaya Temples almost seemed impossible.It was around 8 in the evening, when K. Nong (our Thai driver) made a sudden detour to a dark street with only the glowing temple ruins lighting the area. We were at WAT PHRA RAM – Phra Ram Monastery, which was built on the cremation site of King Ramathibodi I. Wat Phra Ram is a temple with prangs (tall tower-like spires) painted in white and chedis (conical/bell-shaped structures). Unlike other wats or temples in Thailand, it is less busy and less grand but nonetheless carries its own unique charm detailed in every rich carving of the temples. 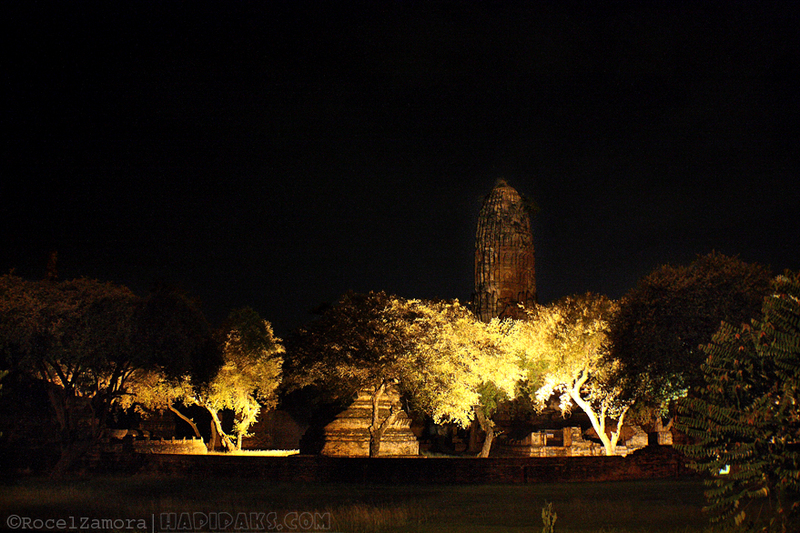 Located in the banks of the Beung Phra Ram Lake, it was just me, Tip-san, Nong-san and two other passers-by on a quiet night by the temples. 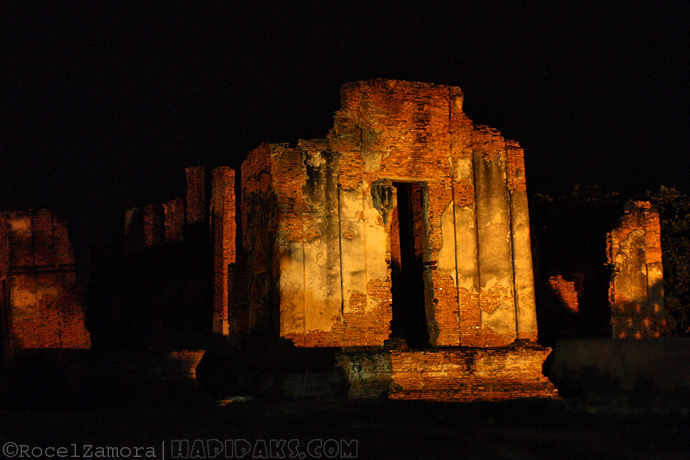 Just being in front of the ruins gave me creepy, freakish feeling. I don’t know if it’s just my fascination for the so-called built-by-aliens structures that I was already imagining it and just waiting for them to come out from the dark shadows. We cannot never really understand sometimes the greatness of human ingenuity and craftsmanship. 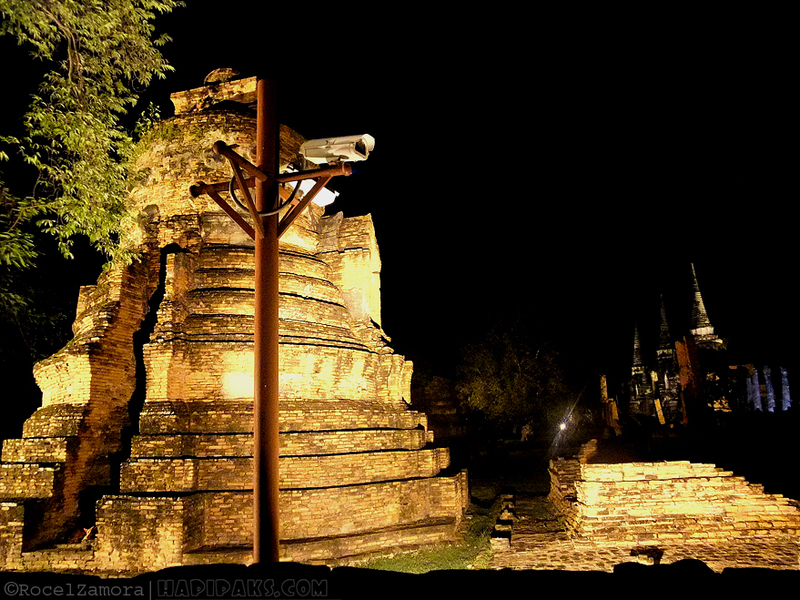 Wat Phra Ram is just one of the still standing proof of the grandeur from what was left of Thailand’s previous capital city of Ayutthaya (now Bangkok is the capital city). 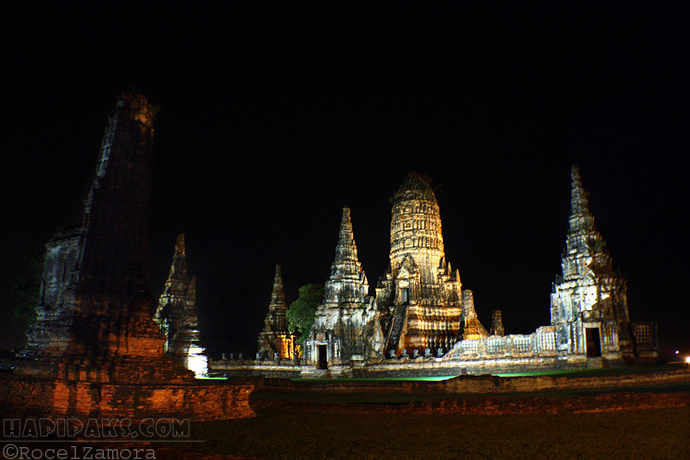 The Ayutthaya historical park is open daily from 8:30-5:00 pm with a fee of 50 baht. It’s really creepy at night. Madalian yang pics na yan kasi feeling ko may lalabas na alien. haha!